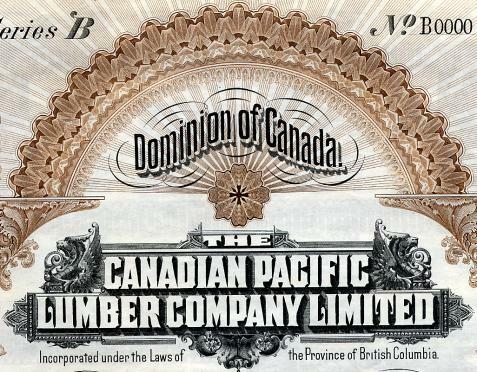 Beautifully engraved certificate from the Canadian Pacific Lumber Company Limited issued in 1911. 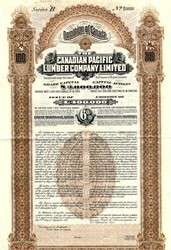 This historic document was printed by Bradbury Wilkinson Co., London and has an ornate border around it with a vignette of the company's name. This item is over 95 years old. Printed in French and English. 50 coupons attached on right side. The scan shows the top and bottom cut due to its size, but all borders are intact.